The meaning of the Rudrabhishekam is to convey that everything is Shiva, and is contained within the Shiva Tattva. There is nothing beyond the Shiva Tattva. It is said: that which moves, and that which is steady and immobile – is the Shiva Tattva. That which is awake and that which is dormant or asleep – is also the Shiva Tattva. That which is greatest, supremely intelligent, and that which is the smallest – is the Shiva Tattva. In the Rudram chanting there is a verse which says, “Namo jyeshthaaya cha kanishthaya cha. Namo dhundhubhyaya cha hananyaya cha”. It means Salutations to that (Shiva Tattva) which is the greatest and the smallest; That which nurtures andThat which destroys and dissolves everything – is also the Shiva Tattva. Shiva Tattva is both the unmanifest, and the manifest in all forms of Creation. The Rudram mentions “Vanchate parivanchate sthayunaam-pataye namo namaha.”. It means, “O Lord Shiva, you are the presiding Lord and Master of everything, even those who cheat and deceive others”. Another verse mentions “Namo vrikshebhyo Harikeshebhyo pashunaam pataye namo Namaha”. It means “O Lord Shiva! You are the Supreme Divinity and Lord of all plants, vegetation, and all living creatures”. The Shiva Tattva is manifest as and present in all plants, trees, birds, animals and living creatures, even in thieves and cheats. So it means that the Shiva Tattva is the Divinity that is eternal and omnipresent in everyone and everything in Creation. This is why in the Rudram we pray, “O Lord Shiva, you alone are present everywhere and in everything. Hence shower your benevolence upon me and bless me with everything favourable”. Towards the conclusion of the Rudram chanting we pray, “O Lord Shiva! Bless that everyone becomes my friend and is friendly to me; May everything become favorable and pleasing for me. O Lord Shiva! You as Aghora have a pleasant benevolent form; and are also Ghora – having a terrifying fearful form. I pray to You to please conceal your fearful forms, and bless me with your pleasing benevolent form”. In the Chamakam part of the Rudram we chant, “Shancha-me, Mayascha-me, Priyancha-me, Anukamascha-me, Kamascha-me…”. ‘Shancha-me’ means ‘Bless me with peace and love’. ‘Priyancha-me’ means ‘May all favorable things happen for me, so please fulfill all my wishes’. In the beginning we honor and worship Lord Shiva by acknowledging, “O Lord! You are everything and present everywhere. Our salutations to you; again and again”. “Maanastoketanaye ma-na ayushhi ma-no goshhu ma-no ashveshu ririshhah. Viranma-no rudra bhamitoavadhi ‘rhavishhmanto namasa vidhema te” (Section 10 of Namakam in Rudram Chanting). It means, “O Lord! Please bless everyone around me with happiness and health. May our animals be healthy and safe. Please save them all from your Ghora Rupa(your terrifying form). Bless us all with peace and happiness”. Everybody has only 24 hours, whether it is the Prime Minister or a clerk working in the bank. You have to hold on to this aphorism ‘I can do it’ because the pressure of time is more when you do not feel confident of accomplishing your work. Even when it appears to be impossible, even then you should have confidence; probably give miracles a chance. This very confidence in yourself that ‘I will be able to manage’ will take you through. And once something sets into your routine, then you have no problem. Our body changes with time. Time also has an impact on the mind. The state of mind and the feeling also change multiple times throughout a day! Thought patterns also get affected by time. Winter, summer, spring, all affect the mind differently. Ancient people did an in-depth study about it — how the moon affects the mind, how the moon is moving around in different constellations; how different degrees of the moon has a definite impact on the mind. That’s why they use the words ‘Tara-bal’ and ‘Chandra-bal’. The moon is in one constellation for two and a half days, then it moves to the another constellation. So in two and half days there are changes in the mood of the mind. I say, “No”, because there is something beyond the mind and that is the intellect. When the intellect is strong it overcomes the impact on the mind. When the intellect is weak, then the emotions overtake the mind. Now what if the intellect also gets affected? Then there is something beyond the intellect and that is the Self; that is Shiva Tattva. Shiva is the master of the time and that is why he is called ‘Maha-kaala’. So when you take refuge in the Shiva Tattva or higher Self, then the impact of time is minimized, both on the mind and on the body. So time impacts the mind and time has definite measurements. Similarly the company we keep also affects us. What we hear impacts our mind. The people with whom we are affect us. If we are in good company then it has good impact on us. If we are in bad company then negative feelings like anger, jealousy, etc., affects us. Then the third thing that affects the mind is food. Food is secondary, food is not that important. If the first two are okay, then it can man over the menace of food. Those who know time are called Devagya. They know about time. All this is as per the divine will of time. Rule of time is divine and those who know time are called Devagya. What is above God is Brahma-gnan (knowledge of the self). A Brahma-gnani is much above a Devagya. A Brahma-Gnani is being centered in the Self. What I am is what you are, and what everything else is too. This firm experience and faith brings Brahma-Gnan and then nothing can shake you. Even if it appears that it is shaking, actually it is not, it is making you strong. Brahma-gnan is bigger than all other gnan (knowledge). The mythological story goes that — Indra had committed many sins and then he met with a Guru at Suchindram. Shiva came in the form of Dakshinamurthy and relieved Indra of all his sins, and so Indra became pure. This is the story, and the message of the story is so apt — if a wise person’s instructions are followed, it purifies the mob, then the mob can be stopped from engaging in violent or unruly activity. Tejovarimrudam yata vinimayo yatra trisargomrusha. The verse means: God is omnipresent. You know, we often say, “I AM”. God is not separate from the individual soul; God resides within us. The soul is not separate from the Divine. Knowing this eternal truth, simply relax and just be. See, there are some things that you should seek and know about, and there are some things that you should simply take for granted as the truth, and relax. You cannot possibly understand everything, and you cannot simply assume or take everything for granted. Your mind and intellect is limited; it cannot comprehend the infinite Divinity. You cannot know the Divine; you simply have to take it for granted that the Divine is present in you, all around you and at all times. If someone tells you. “My dear, this is poison”, then you do not say “No, first I will drink it and check for myself”. You would not survive to tell what happens afterwards. So, in some cases you simply need to believe and take it for granted. If you are told that a certain galaxy is so many light years away from our galaxy, or if the Earth is revolving around the Sun – then you will have to agree and accept that fact for certain. People have proved many facts scientifically. Now if you argue and say, “No, I will check it for myself and only then agree”, then that is foolishness. But if someone says, “Oh! This is very sweet”, then you need not necessarily agree to it. You can taste it if you like to check for yourself. So you should try to know some things, and you should simply take some things to be true, without a doubt. Mind is just a projection of soul. Soul is your whole consciousness, the life force in you. The part of it which is listening to me right now, which is asking the question, which is perceiving – we call it the mind. So if your mind is elsewhere, though I’m speaking and the words are falling into your ear drums, still you don’t get it because the mind is elsewhere. So it’s through the mind that we see, smell, taste, hear, and experience the sense of touch. That is what the mind is. The mind has another function which we call intellect. As I’m speaking, something in you is saying, “Yes, I agree”, or, “No, I don’t agree with this”. There is something in you which is accepting and rejecting, judging and accommodating — that is the intellect. There are seven layers to our existence: Body, breath, mind, intellect, memory, ego and the soul. See, we keep breathing but many of us don’t even know that we are breathing unless we have an asthma attack or some problem. We don’t realize how important it is for us to breathe deeply. Body, breath, mind, intellect, memory, ego and the soul or self. The self is that total consciousness. There is something in you that doesn’t change, which is the reference point for all changes. Your thoughts are changing, your emotions are changing, your body has undergone so much change. If you look at a 25 years old picture of you, you can’t say it’s the same body. It’s much different than what you are now, but still you are the same person. So there’s something in you that is not changing in spite of all the changes. That non-changing aspect in you, or the reference by which you recognize the changes so to say ‘this is changing’, there should be something that doesn’t change, and that is what is the soul. When we go deep into this, it’s amazing, amazing, and amazing! An arena opens in front of you. And the way to go deeper into this is meditation. There is a lot to know about prana. The breath is connected to neuro-physiology. When the left nostril is dominating, the right side of the brain is active. When the right nostril is functioning, the left side of the brain (logic, thinking and understanding) is active. When the breath predominantly goes in and out through the right nostril and very little through the left nostril, is when knowledge permeates. When the breath predominately goes in and out through the left nostril, you listen and enjoy without understanding the knowledge, like it is music. When the breath flows equally through both nostrils, meditation and prayer happen. Or nothing happens. If you are in the presence of someone who is very spiritual, then both nostrils will flow equally. If you come to meet a guru, or pass by a temple, a church, a place of worship or spiritual activity, you will find both nostrils are equally functioning. Prana, or life force, moves through the nostrils where there are three nadis. The sun nadi is the right nostril. The moon nadi is the left nostril. The fire nadi is in-between both. This is known as the Sushumna nadi. We are living in an ocean of prana. Prana and Truth, or consciousness, is the prana of prana. The five types of prana in the body are Prana, Apana, Udana, Samana and Vyana. Prana is the energy in the upper part of the body, in the region above the heart. If prana is too high or is imbalanced you cannot sleep. Apana Vayu is the energy in the lower part of the body. If Apana is too high, then you feel lethargic, sleepy, and dull. Samana Vayu is in the stomach region, it aids digestion. Udana Vayu is in the upper chest and throat region, it is responsible for emotions. If Udana Vayu is imbalanced, you have no emotions, you become like a stone or you become so mushy-mushy and weak. Vyana is all over the body, it is responsible for movements in the joints, the circulation in the body. If Vyana Prana is disturbed, then the circulatory system is disturbed, your joints are not flexible, there are aches and pains. Panch Prana, the five different types of prana are present in everybody, and different pranas dominates at different times. The imbalances in the pranas are corrected during Pranayama and Sudarshan Kriya. To understand prana takes a long time.There are 172,000 nadis or prana channels which function in our body. The breath changes with every action, and certain prana functions at certain times.The Vedas teach us that the metabolism of your body is twice when you are breathing through the right nostril than it is when breathing through the left. Following this, when the left nostril is functioning, it is a good time to drink; when the right is functioning, then it is a good time to eat. If you do the reverse, then within six months time you may fall sick. Ayurveda also says that you should not eat and drink at the same time, and when you do eat you should leave a gap of half an hour to an hour before drinking. The nadis, the breath, changes every hour. Similarly, prana changes, the energy in the world changes, all the time. We start communicating from the instant we take our first breath. Our first cry is a communication to our mother, and to the world, that we have arrived. And till our last breath, we are in constant communication. Yet, good communication is much more than mere words. It is an art and effective communication has dimensions that are larger than what is spoken. The ability to communicate affectionately with one and all is a skill worth possessing. Communication is a dialogue, not a monologue. We must respect the viewpoints of the person or persons we are communicating with. Communication is the art of being sensitive and sensible at the same time. Some people are too sensitive, thereby losing their sensibleness. Their speech lacks clarity and is inarticulate. And there are people who make perfect sense, but they are insensitive. They say the correct things, but they are not aware of the emotional response of the audience. We need that beautiful combination of sensitivity and sensibleness. Your state of mind matters! You cannot improve someone by getting angry at them. You only ruin your peace of mind. When you are angry, nobody wants to hear it even though you are saying the correct thing. Your communication does not have the impact it ought to have had. Your mental state is heard by your listeners before the words. A calm state of mind, and a smile, will conquer the most difficult of people. A good sense of humor relieves you from fear and anxiety. Humor is not just about words- reading and repeating jokes. It is the lightness of your being that brings out the authentic humor. And this lightness comes up with taking life itself not too seriously, having a sense of belongingness with everybody (including those who are not friendly), practicing yoga and meditation, having unshakable faith in the Divine, being in the company of those who live in knowledge and are humorous. Almost all relationships break down due to too much talking and explaining about oneself. “I am this way. Don’t mistake me. Don’t misunderstand me.” If you keep silent when required, everything will work out much better. Don’t explain things of the past, brood over them, or ask for explanations. When the heart speaks and the heart listens, harmony is produced. All of us have experienced at one time or the other, an amazing phenomenon. Whether in one-to-one communication, or in addressing a huge audience, something intangible moves people more than the words. We try to rationalize by attributing this to charm, charisma, presence, body language, etc. If you are firmly established in the zone of silence, if your mind is calm, you will find yourself suddenly being able to influence individuals, groups, and masses. The single most important skill in the art of good communication is the skill of listening. Listening not just to words, but also to feelings and expressions. Observe infants. They listen to expressions and gestures. Even without understanding words, they communicate with you. Somewhere in the journey of life, we have lost this ability. Let’s make an attempt to regain it. This world is varied, beyond our imagination. We need to establish communication on three levels – communication with oneself, communication with society, and communication with nature. There is always something to share, learn, and teach. It was a dark night. A gentleman was going into a forest with a small torch. From a distance he saw a snake on the path. He stood there waiting for the snake to move. His torch cells (batteries) were running out. There was a very feeble light. If it was totally dark he would have passed. But it wasn’t – there was a feeble light, so he could see the snake. He was frightened. He stood there sweating and shivering. And the snake seemed to be very adamant. It never moved. It seems to say that it will move if he moved. That, it will make sure he did not move. It was very frustrating for him. He waited and waited, for three to four hours. By that time another person came along with a more powerful torch. He checked and discovered that it was not a snake but just a rope! There was a big sigh of relief! He wondered at his foolishness that he had wasted so much time, shivering and getting angry at and fearing the snake, and it was just a rope. Something, which appears to be a big burden, problem or hurdle, which would seem to take away life, later seems a joke. The gentleman laughed and laughed the rest of the way. Then, the day broke and the entire forest was filled with flowers, fruits and celebration. Birds were singing, peacocks were dancing and the streams were flowing. That place, which was so frightening in the dark night, now became a place of celebration. This very universe and the very events in the world which appear to us to be a big botheration, turn around and become a playing field, a game. When you can see this whole flow of events as temporary, as non-existent, then even when someone scolds you, you smile. When somebody is scolding you, notice the buttons being pushed – that is “something is happening”. ‘Oh, what is happening here inside? I am getting angry. I’m feeling frustrated. Oh good.’ Every event, every happening becomes a play, a game, a celebration. Walk blissfully, breathe blissfully, sit blissfully, being aware of all these events. When you can see the entire event as fleeting impositions or happenings, and you remain untouched by them, then you are happy. Joy springs out of you, like a fountain. That is your very nature. Clinging on to the past, to your likes and dislikes, you have bolted the fountain of joy. We wish each other happiness, prosperity and peace, but only a few seem to know how to be peaceful — like only a few know how to make money. Here are some steps that might help one to find the most needed inner peace. It is very important for us to probe into the source of thought. Often we are called great thinkers, but what is a thought? Where does it originate? Is there any way that we can improve the thought process? What is the source of creativity? Thought is nothing but an impulse of energy and intelligence. That impulse of energy and intelligence, for it to arise and a correct thought to come, you need 16 impulses to meet at a point in the cerebral cortex at a certain speed. In that short interval of time, all the 16 impulses in the cerebral cortex, when they meet, is what we call a correct thought. What do we do about it? We need to train our brain, our mind. There is always dialogue going on in your own mind. We all have a filter in our mind through which we listen and we accept only what we already know. Something which doesn’t already fall within our belief system, we straightaway filter out. This tendency in the mind to take things which it already knows and reject that which it doesn’t know, is one of the main blocks of creativity. The second aspect for creativity is imagination. Many inventions happened through certain imagination and linking that imagination to the present state of ground reality. If you are thinking only of the ground reality, then no creativity will come. And also if you base yourself purely on imagination, then there is no creativity. A balance is needed. So, when such blocks come into us, there is a way to eliminate them. How? By studying our own seven layers of our existence. What are they? The body, breath, mind, intellect, memory, ego and Self. Are you all breathing now? Many times we are not even aware that we are breathing. We don’t care to look into something that keeps our body alive. Our breath has great secrets to offer. A little bit of knowledge of these seven layers of existence makes a big difference in our lives. We become so alive and childlike. If you are cheerful, you will be creative. Innovation and creativity spring from within us and spirituality — study of our Self, is the technology to tap that source. 2. Old karmas – we are experiencing something now to pay off some old karmas. These are the only two reasons. It is okay to have some challenges in life. You should have that confidence within you that, you can overcome the challenge. Earlier also challenges have come in your life and you have overcome them; you have gone beyond them. Learn from that. Look back at your own life and see how many challenges you have had and how you have sailed through them and come out of them. This will give you confidence. The other option is to realize that you have to pay some debt so you are undergoing what you are undergoing. Further, don’t compare yourself with others. You think other people who don’t do anything in spirituality are rising up? What do you know about them? They may have a lot of money but may not have good sleep. You don’t know their suffering. People by hook or by crook make wealth, they reach to the top, and then they fall from there. Hasn’t it happened? So many people who have climbed to the top using wrong methods, haven’t they fallen? What should you do by looking at all that? You should always go with a determination of righteousness. What is that you want? You should have a clear understanding of this. The brain is like a computer; the consciousness works like a computer. First make sure of what you want. If you confused and you don’t know what you want, then pray, ‘Agne naya supathā rāye asmāna viśvāni deva vayunāni vidvān‘. This prayer is in Ishavasya Upanishad, which means: May the Divine lead me and give me the best. And have the faith that only the best will happen to you. Love is not a business. Love is not a career. love is not even an act. So there is no success or failure in love. Love is your nature my dear! Whether you express it or not, it is there. If you realize that love is your very nature, you will not think of it as success or failure. Some people may understand you and some may not. When someone loves you, you cannot say that they will be in love with you forever. People who have lived together for 20 years, and had said at one point of time that they were made for each other, suddenly find that they were never compatible, and that they never got along. Suddenly people feel suffocated and want to go their own ways. Love is not an act, love is not even a situation, it is our very nature. If you are in love with somebody don’t think that it will be forever, unless and until there is knowledge or wisdom in it. Love with wisdom is eternal bliss. Love with selfishness or love for individual pleasure, sooner or later will bring misery and heart break. If your love is there to help others, nobody can destroy it, but if your love is to get something from the other, sooner or later, it will be broken into pieces. Find out what you think love is. Is love only a name for getting pleasure from others? If yes, then it is going to bring you pain. But if your love is there only to care and you cannot be without it, then that is your true nature. That is what is true love. Ayurveda is the study of life. Ayur is life and Ved means to know. According to Ayurveda, life or existence is not a rigid compartment, but a harmonious flow. Even the five elements (earth, water, air, ether and fire) of which the whole universe is made of, are not tight compartments of defined objects. They flow into one another. Each of the elements contains the other four. The subtlest element in us is space, which the mind is made up of, and the grossest is the earth element, which our bones, marrow, the skin and the structure are made of. This is further divided into three Doshas — Vata, Pitta and Kapha. This is a way to understand our physiology, its characteristics and its reflections on the mind. When an illness arises, it comes first in the thought form, the subtlest aspect, then the sound form, and then the light form, which is in the aura. It is only then that the illness manifests in the body. Simple symptoms arise in the fluid form, which can be eradicated, and then it manifests in the grossest form, where it needs medication. But with the practice of Ayurveda, the illness can be nipped in the bud. Breath is synonymous to life. Our life is our breath. Our breath is our life. It is very interesting to observe the relationship between breath and the different Doshas in the body, namely Vata, Pitta and Kapha. These three Doshas affect certain parts of the body more than the other parts. For example, Vata Dosha is predominant in the lower part of the body — stomach, intestine, etc. Diseases like gastric problems and joint aches can be due to the Vata imbalance. Kapha dosha is predominant in the middle part of the body. Cough is mainly a result of Kapha imbalance. And Pitta affects the upper part of the body — the head. Short temper is a sign of Pitta. How do we bring good health to our system? The first remedy is calming the mind, coming from the subtlest aspect of creation, the ether. If your mind is bottled with too many impressions and thoughts, and it is draining you of your resistance power, then that is where the body is preparing for some illness. If the mind is clear, calm, meditative, and pleasant, the resistance in the body will increase and it will not allow an illness to come into it. The skillful use of breath and meditation can calm the mind. Then comes the air element. Breathing, aromatherapy, etc., come in this category. Next is the light element, wherein color therapy is used to heal. Before an illness manifests in the body, you can see it in the aura of a person. And by energizing our system with the prana or life energy one can clear the aura and prevent the illness. Next is the water element. Fasting or purifying the system with water can bring a lot of balance in the system. The final recourse would be medicines, medicinal herbs and surgery. All these come in when other things fail and the illness becomes inevitable. The practice of Ayurveda can truly enhance the quality of your life. Life is found to be caught up in storms so very often. And you are not yourself when you are in a storm. You don’t know what to do. At those moments all your spiritual practices, concepts, ideas and ideals fall apart. Your devotion, your love and all the beautiful things you cherish in your life, simply don’t seem to be there or mean anything. You are under the influence of a big storm. A whirlwind rises in you and throws you off balance. What do you do? Nothing is helpful. You sit, close your eyes and try to meditate. But the mind is all over the place. You feel as though you are in a burning furnace, and you don’t know how to put the fire out. And the more effort you make to cool it down, and put it out, the more the fire burns, the more the restlessness and agitation increase. You are yourself only between the storms. How many storms rise in your life, and how frequently do they rise? The less frequent they are, the more you are yourself. At those moments you are happy; you are settled. You are calm. Just think of those moments of intense restlessness, agitation and feverishness. The breath becomes heavier. The body becomes unbearable. You are not at all aware of the mind. But that is not what you are. You get a glimpse of the clearness of yourself between two storms. But life seems to be like the ocean – wave after wave lashing you one after another. This is the only problem. This is the only basic problem in the universe. There is no other problem. You can attach it to one thousand causes or reasons, but the problem is how to free your life from this storm which has gripped it. The first thing to do is to become aware of this. At that moment, the storm will subside. First, stop regretting things. For no reason, there is turmoil in the mind. When your mind cools down and you experience that inner cool, soft and delicate aspect of yourself, there is a big relief. No one storm can be there all the time. It is impossible. It comes and subsides. Your mind is like a wind – a whirlwind, subsiding and cooling down. That is your true nature. That is love. You have been resisting restlessness all this time. Now If you see it is there. Okay, so let it be there. It is a part of nature.’ The storm is also part of nature. Stop resisting the storm. Take it, gulp it in its totality; go deep into it and you will see it is nothing. It is just created out of yourself, your mind and your consciousness. In that aspect of you, you are your Self. Know that there is a power, some power; someone who is really caring for you. Not just someone there is only One in the whole universe. That One in the universe is caring and taking care of you. You can relax, rest and be peaceful. There cannot be an ocean without waves. Every event touches life somewhere on its surface. It creates movement. Take all that comes with both your hands. Don’t say that it is impossible or not possible for you. This thought of something being not possible means that you are resisting. This is making the storms stay for long periods. Stand there with your arms open. Say, ‘Whatever storms come, let them, I’m here.’ You grow out of them. You become bigger. So when a storm arises, just be with it. Do not try to get rid of the storm. Be with it; go into it. And, of course, you have your meditation and spiritual practices to help purify your whole system. It’s such a blessing. The divine consciousness is present everywhere, expressing itself in various different forms. It is just like the light that projects at the cinema, where one light passes through different films, and different imprinted characters are being projected onto the screen from it. Without the light, there is no film. There is no hero, no heroine, no villain, nothing! They are all just figures projected on a film with a single light. The same light is the hero and heroine, and many different characters on the screen.The same light can be a mouse and a lion. Behind all these characters is only one beam of white light. The brave one is one who can see that if this person is that way, and that person is that way, it is all just play and display of one consciousness. Recognise, that the one consciousness which appears to be perfect somewhere is really not perfect, and that which appears imperfect somewhere is not really imperfect. It is all made up of one being, one field of energy. One who focuses on this and understands this deep within, crosses over this world of death to immortality. Nothing whatsoever can shake him or her. The ephemeral happenings do not touch the one who is connected with the universal energy. So, from you projecting your mind onto everybody, you see everybody as the projection of that one consciousness. This is the journey of life, from ignorance to enlightenment. In ignorance you project your emotions on others, you are angry at everyone, you say and you think everyone is angry at you. You have an ego, you think everyone else have an ego too. You are negative, you think others are negative.You do not respect people, and you think that others do not respect you. You do not love others, and you think others do not love you. You are projecting your mind on to others, and this is ignorance. See the whole universe as the projection of consciousness. It is not an individual who is doing this or that. It is all a play and display of a universal phenomenon, everyone is like a rag doll. Knowing this, is enlightenment. This is something to be done right here. When you die, you will carry all your memory, cravings, aversions and hatred with you. This is a great loss to you, as the mind is meant to experience infinity. Instead of ingraining infinity in the finite mind, you drag the mind through the mud. You criticize and complain, and this is not worth carrying. Let others form their own ideas, let them seem imperfect. But you should not carry that and spoil yourself. There are two kinds of mind. One is an open mind. Another is a closed mind. A closed mind is that which says, “This is how it is. I know it. That is it.” It gets hardened. An open mind says, “Oh, maybe, perhaps. I do not know.” Limited knowledge, and the conformity about it, makes a mind very hard. Whenever you seem to understand a situation and you label it, “I know this is how it is,” that is the beginning of your problem. And always all problems arise from knowing but not from not knowing. If you do not know, your mind is open, you say “Oh, maybe, something, perhaps, don’t know.” You wait. You cannot label something when you do not know. Whenever we attach a label “not good,” it comes from a thorough knowledge. When your mind is open for all possibilities, an event happens, and there could be many possibilities for that event to be that way, not just in the gross— some other reasons in the subtle also. Suppose you walked into your room and you find that someone has made a big mess in your room. It has irritated you. You are grinding your teeth. Now you attach that reason, that cause for your anger, to just that person who is there. But there is something more happening, something more happening in the subtle. There has been some angry time and vibrations at that moment there. At that moment something else is in the air. But you could only see that person creating a mess around you. And you attribute all anger to that person. This is what limited knowledge does. Haven’t you experienced this sometime? As we attach the events to individuals, the emotions to individuals, the cycle continues. You will never be free from that. So there is a step. First, detach that to the space or time. An event and emotion, detach it from the person and the event, to the space and time. This science is called astrology. Astrology is the knowledge of the oneness of the universe. Upgrade your willpower like you upgrade all your digital gadgets. Are you waiting to give up your puffs and alcohol? Hit the gym with greater regularity? Just commit yourself to it. 2. No procrastination. Do you love postponing your to-do-lists just to achieve perfection? Are you waiting for that right hour on the right day, to either begin your task or make your submissions or learn that new instrument? If your answer to the above questions is “YES”, put a full-stop to this habit right NOW. 3. Kick off any sense of lethargy – be it for social commitments or for your growth. Practice this and see your confidence oozing. 4. Do not let toxins remain unattended in your body. Help your body flush them out. Consume more liters of H2O, do a little fasting and give your body a break. It’s the most sophisticated machine you’ve got. 5. Give up your overindulgence on social media. Reduce your time being online. Instead, start do kinetic – make something with your hands. You will find it more relaxing and therapeutic. 6. Take pride in yourself. Stop saying no time to dress-up in the morning. Show up every day with elan. It doesn’t matter if you’re a stay-at-home mum, freelancer or a pursuing a full job. You will find a huge difference in your energy and attitude. 7. In your packed day, try and make time for meditation every day. This “me-time” with yourself is one thing you ought to do. The benefits of a regular mindfulness routine are too many to count. Don’t miss out. 8. Reduce your late nights. Make your bed and retire for the day before the next day begins. Be kind to your body. 9. It is not a great idea to invest your energies on meaningless, supremely long conversations. Follow the “KISS” principle – keep it short and sweet. Give up gossip or wait before you express everything that comes to your mind. You will find this habit surprisingly freeing! 10. Exercise for at least 30 minutes a day. Whether it is a workout at the gym, some suryanamaskars, a fast-paced walk, jog…anything you like. Move every inch of your body. 11. Give up the elevator and use the stairs. Only if you are carrying heavy luggage, excuse yourself to use the lift. Else be it at the metro station or your office lobby or your apartment or your favorite fine dining restaurant, go climb up. 12. Watch your words, and how you use them. Our words have the potential to cement bonds and break people down. Be aware – they add to your vibrations and affect your energies. 13. JUNK is another four-letter so is FOOD. Put them together and remind yourself to reduce your intake of junk food to once a week. You will do yourself some good. Go for mouthwatering alternatives prepared in the right manner with the right ingredients. 14. Be prudent in your expenses. Enjoy whatever you have been given by God’s grace. Yet, be mindful of your expenses, and remember: a penny saved is a penny earned. 15. How about giving up being messy, untidy and choosing to be organized? You may feel it doesn’t matter if the floor is not mopped every day or if your workstation is not dusted daily. It does. Live in clean surroundings. You will attract positive energies. You will feel light and your mind will be de-cluttered. 16. Let go of painful memories, associated with events, people or even yourself. Even if it means giving away some things of sentimental value to you but don’t serve a purpose in your present life. 17. Travel a bit or a lot. Depending on whatever suits your schedule, pocket and energy levels. Experience a different aspect of the world you’re living in and increase the circumference of understanding. 18. Save whatever you can. Whether it is electricity, water, food, paper. Everything saved can be pumped up into use for others who need it. Become the most environmentally conscious person you know. 19. Is your mind judgemental or filled with preconceived notions and concepts? If so, give them up all. Give life a chance to happen. It may just surprise you! All the best on your 2019 journey. Ensure that the first of January does not fly by without implementing what you want to give up. All of this is easy when you are focussed and have strong willpower. Often stress and demands can shake even the best of intentions. Don’t wait for that to happen. Commit yourself to a regular, self-building practice which will amplify your efforts. Sign up for the Happiness program and discover more. In the ancient science of Ayurveda, herbs and spices are viewed as the spiritual essence – the Kundalini – of plants. Plants and herbs carry in their cells the wisdom of cosmic intelligence and the healing vibrations of nature. Since ancient times, humans and plants have had a very spiritual connection – plants capture solar energy and convert it into nutrients that humans can digest. Here are ten herbs and spices you must incorporate in your daily routine for a healthy lifestyle. These herbs can be used with other Ayurvedic approaches which may also include modifying one’s diet, lifestyle choices and activity levels. Ajwain is a strong digestive and nerve stimulant. It functions as a weight loss herb by drawing out deep-seated toxins from the body. Ajwain also heals painful joints – it is an excellent herb to address vata issues. Ajwain can be taken as a tea to assist with weight loss: simply boil 1 tsp of ajwain seeds in 16 ounces of water and consume instead of your green tea. One of the best anti-aging herbs, Ashwagandha enhances vitality. This herb is crucial for people suffering from too much stress or who are overworked. Take 1/2 teaspoon cooked in milk (sweeten with 1 tsp of raw honey). Note that Ayurvedic herbs are able to go deeper into the tissues and cells when taken with healthy fat (such as ghee, butter or raw whole milk). Brahmi is the best herb for the brain and nervous system. Brahmi also balances the left and right hemispheres of the brain and decalcifies the pineal gland. It is tridoshic (good for all three doshas), but is especially beneficial for balancing high pitta conditions. Brahmi removes toxins and blockages from the nervous system. It helps with depression, enhances intelligence and improves memory and concentration. It also happens to be great for hair growth! Consume Brahmi every morning to rejuvenate the body and mind. Boil Brahmi leaves in water (drink as a tea) or boil it in milk or make Brahmi ghee. It can also be used as a medicated oil for hair and the nutrients will seep into the brain cells via the crown chakra. Cardamom is a natural tranquilizer, bringing clarity and joy to the heart and mind. It neutralizes the acidity of coffee and caffeine – it also neutralizes the mucus-forming properties in milk. Cardamom removes excess kapha from stomach and lungs. For the best results, add some cardamom pods or powder to coffee as you are brewing it or boil cardamom in warm milk and drink before bed. Cumin enhances the digestive system and metabolism. It helps the body in nutrient absorption. Cumin can be especially useful for new moms as it cleanses the reproductive organs and improves milk secretion. Use cumin while cooking to assist in the assimilation of micronutrients. Licorice is a rejuvenating herb that is commonly used in, both, the East and West. It rejuvenates all systems of the body, soothes the throat and reduces acidity. It calms the mind and nurtures the spirit. Add licorice root to hot tea as a sweetener instead of honey or sugar. You could also boil powdered licorice root in milk decoction and consume before bed. Manjistha is probably the best blood purifying herb in Ayurvedic medicine. It is anti-inflammatory and clears acne. Manjistha cleans the blood and liver, lowering pitta disorders in the skin and helps clear acne. It cools and detoxifies the blood, cleanses and regulates liver and kidney functions. Take this herb in capsule form (two capsules in the morning, and two capsules at night) if you have any pitta related skin disorders. Alternatively, you can take it with warm milk before bed. Manjistha can also be used as an external application for face packs or in case of skin diseases. Neem is one of the most powerful blood purifiers and detoxifiers in Ayurvedic herbology. It is ideal for wound healing and curing skin diseases and damage, especially from the sun. Neem is useful for all pitta disorders, such as skin and eyes. It works wonders for eczema and psoriasis skin flare-ups. It is also useful for joint and muscle pain. Use neem on the skin in medicated oil. Shatavari is the best Ayurvedic root to rejuvenate women (as Ashwagandha is for men). Shatavari even translates to ‘she who possesses a thousand husbands!’ In other parlance, it also refers to hundreds of tubers collectively seen in its roots. It nourishes and cleanses the blood and the female reproductive organs. Shatavari is readily available to consume in pill and powder form or it can be taken in ghee or cooked in milk, which is the preferred form. If you usually do not get a good sleep at night, there are chances that you might be aging faster than you should. You may not exactly feel at the top of the world, and your thinking could be confused and muddled. When we sleep, our body repairs on a cellular level and removes toxins. Therefore, it is necessary to get at least six to eight hours of good sleep daily. An excellent stretch for making the spine flexible, the Cat stretch also massages the digestive organs and improves digestion, helping you sleep well. It also improves blood circulation and relaxes the mind. Lie down straight on your back. Now lift one leg up, followed by the next, and let your feet rest on the wall Extend the arms along the sides, palms facing up. 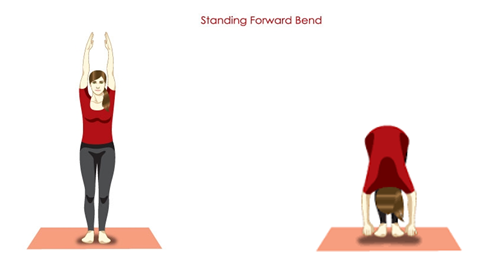 Now close your eyes and keep taking deep breaths as you relax into the pose. You may use an eye cushion over your eyes to block the light and completely relax. Stay in the pose for as long as you comfortably can and then slowly come out, bringing the legs down. Besides these yoga poses, lying down in Corpse pose (Shavasana) and doing Yoga Nidra after meals help relax the body. Sleep experts often point to the importance of creating a standard nighttime routine to signal your body that it’s time to prepare for sleep. You may choose to include Nadi Shodhan pranayama in your ritual to relieve tension and relax into a peaceful sleep. Sleeping in the afternoon for about half an hour and at night for six to eight hours is a good practice. If you had a quarrel with your partner or loved one, make sure you sort it out before you go to sleep. Avoid taking stimulants at night, especially if you are suffering from insomnia. In Sanskrit, the daily routine is called as Dinacharya. ‘Din’ means ‘day’ and ‘acharya’ means ‘to follow’ or ‘close to’. So, Dinacharya is an ideal daily schedule taking into account the nature’s cycle. In Ayurveda, the focus is levied on the early hours of the day as it is instrumental in setting the tone of your day. Ayurveda believes that routine is a discipline for the body and mind which strengthens immunity and purifies the body of its wastes. With the help of simple healthy routines, one can clean the body and mind, balance . doshas., strengthen immunity and start the day on a refreshing and rejuvenating note. Following simple routine in the morning will help you start the day on a blissful note. Here is your guide to a refreshing morning. One should wake up about one and a half hour before the sun rise so that you can synchronize with the rhythm of sun. Ayurveda recommends an auspicious time – Brahma-muhurata which means ‘the time of Brahma…the pure consciousnesses – for rising up in morning. Check through which nostril your breath is flowing more strongly. According to Ayurveda, the right nostril is solar-pitta, and the left nostril is lunar-kapha. The right side of the brain controls creative activity while the left side controls logical verbal activity. According to research, when one breathe through the left nostril then the right side of the brain is more pre-dominant and vice versa. Follow the ancient tradition of observing the lines in your palms and remember the Goddesses of Wealth, Knowledge and Power. Rub the fingertips with your thumbs in a circular soothing rhythm – right clockwise circles and then left anticlockwise circles. Rub the palms using fingertips and then turn the right wrist clockwise and the left wrist anticlockwise. First kiss the palm of that side of your body where the flow of breath is stronger, then kiss the other palm. (Kissing confers energy. By kissing your palm, you give your best vibrations to your most effective tool for self-expression.) Rub both hands together and move the palms slowly over your face, covering head, shoulders, arms, and legs, creating an energy shield which wards off negative influences for the whole of the day. Recite the protection mantra that belongs to this simple but effective morning ritual. After reciting the mantra, sit silently with an empty mind for a few moments. Step out of the bed and touch the ground with the leg that corresponds with the side of the body where the breath is flowing dominant (check nostrils). Rinse with cold water. Water is an electrical conductor and can never irritate sensitive tissues. Wash hands, face, mouth and eyes with cool water. Clean nose, teeth and tongue. Relax – do pranayama until the breath flows evenly through both nostrils. Meditate while centering your energy in the heart chakra or at the third eye. Take a short, slow walk in the fresh morning air. Surround yourself with simple and soothing visuals, preferable white items like fresh and fragrant flowers with subtle colors. Vyayama or physical exercise comprises usually of some yogapostures like Surya Namaskar or sun salutation and breathing exercises like Nadi Shodhan Pranayam. But it can be anything including a walk or a swim. Early morning exercises remove stagnation in the body and mind, strengthen the digestive fire, reduce fat and give you an overall feeling of lightness and joy as it fills your body with good prana. However, instead of strenuous exercise, exercising at one fourth to one half of your capacity is recommended. Massage the body (abhyanga) with sesame oil. Massaging the scalp, forehead, temples, hand and feet for about 2-3 minutes is sufficient. Bathe in water which is neither too hot nor too cold. Lunch should be taken early between 12-1 pm as it coincides with the peak period which is responsible for the digestion. Ayurveda recommends that the lunch should be the heaviest meal of the day. After the meal it is good to take a walk, to help the food digest. Anything more than a short nap should be avoided because sleeping in the day is prohibited in Ayurveda. This is a special time of balance between day and night. This is the time for evening prayers and meditations. Dinner should be taken around 6–7 pm. It should be lighter than the lunch. The dinner should be at least three hours before bedtime as gives the body ample time to digest the food. Sleeping just after the dinner with a heavy stomach should be avoided. Walk to aid digestion for about 10 – 15 minutes. The ideal time to sleep is by 10:30 pm. To calm the system, one can massage the soles of the feet before going to bed. Let’s face it. It’s not easy and is not going to be. It’s not possible to stay happy all the time. It’s not possible to have faith in yourself every day. And, it’s not possible to always believe in your dreams. Reality kicks in, obstacles surface and life is not as hunky-dory as we would like it. Yet, we need to stay on top of our game, stay motivated and keep aiming higher. What’s life if we don’t have a goal after all? There are many useful productivity hacks, great tools, and ways to make the most of your day. However, our ancient seers were wiser. They knew ways to address the problem inside out. Here are a few ways for you to meditate and reflect on. These are simple MeditationMotivations. Little motivation nuggets that you need to meditate on. You do these and staying motivated will be a natural by-product. Have confidence in your abilities and remind yourself of your abilities every day. Why? Because it is so easy to forget them when the going gets tough. Believe it or not, there is a larger plan for each one of us. Even if you choose to not believe in it, then believe in one thing: only the best will happen to you. There is a perfect time for everything. Forget the competition and the rush of what everyone else is going through. Believe in your originality, your dreams and yourself, and work towards realizing that dream. Remind yourself of your potential. You are a constant factor in your life. Sounds a little strange, but it’s true. You are the main actor in your own story, and the actor cannot be weak or poor in health. Fortify yourself with as much energy and positivity you can muster. Fire your passion with strength and faith. One of the easiest ways to do this is to meditate daily. It might sound simple or strange. However scientific studies have proved that meditation increases positive emotions, life satisfaction, boosts immune function and decreases pain. Meditation also helps you stay focused for longer time spans. You’re going to need all of this if you’re going to stay motivated and focused. And, you thought meditation and motivation are far removed? Think again. Remember to eat healthily, exercise, do some yoga and breathe out stress with pranayama. Yoga and its accompanying breathing practices are natural ways to detox yourself on a daily basis and look at things from a fresh perspective. You’re going to need these simple tricks if you want to stay motivated every day. Start seeing life from a larger perspective. Events will come and go, and so will success and failures. An unfavorable situation cannot last forever. The thing to remember is: never brood when things go wrong. Assess what can be done and quickly move to the solution. If necessary, give yourself a short timeline and treat yourself when you have moved to the solution. When one looks at life as a continuous flow, it’s easy to stay stable and still. And when things go wrong, this is one attribute you will definitely need. And then be patient. Even if a solution seems hard to find – wait, be patient and keep working. This sounds simple, but ask someone at the end of a tiring day in office. Will you see patience after battling an army of traffic cars? After repeated attempts at trying something new? Just be patient. The results, the peace, everything you want will come. Being gentle is not a sudden switch that you can switch on or off. The only thing to do is to practice daily. Watch yourself in situations. Meditate and reflect on your actions and motivations: Why did you choose to do something unusual? Did you just react to something that you didn’t need to? Was there something you said which could’ve been avoided? There’s no need to overanalyze yourself or be hard on yourself. However, just a quick look at your day with a calm mind and you will know. You will know when to stay on the middle path, in case you’ve swayed too much on one side. This is a necessary tool for growth, as it will motivate you to go that extra mile for another, and will inspire others as well. This also nurtures the benevolent side of you and increase inclusiveness among people you associate with. It also keeps the student in you alive and kicking! Motivation is usually driven by external circumstances. It could diminish when those stimuli fade away. Inspiration is internally driven by the individual and is long-term. Be an inspired individual. Chances are your enthusiasm and energy will spread to everyone around. Go ahead, be the most inspired person you know. Getting back to that serenity which is our original nature is meditation. Absolute joy and happiness is meditation. A pleasure minus excitement is meditation. A thrill without anxiety is meditation. A love without hatred or any of the opposite values is meditation! Meditation is food for the soul, and every soul yearns for meditation. There are five ways through which one can experience meditation. By stretching and contracting the body, the mind experiences a state of awareness that you can call meditation. Exercise can bring a certain amount of calmness in the mind. Not totally, but a certain degree of meditativeness can come through exercise and physical manipulation. Yoga and Tai-Chi are examples of ways to experience a meditative state of mind through physical manipulation. Through the breath, the mind becomes quiet and can easily slip into meditation. This we all know through our experience of Sudarshan Kriya. After pranayama and Sudarshan Kriya, when you sit for meditation, you slip into meditation effortlessly. So a breathing technique is another way to get into meditation. Through any of the five senses and sensory objects, one can experience a state of no-mindedness – no thoughts, calmness, serenity, and inner beauty. If you observe a child eating a lollypop, you can see how the child is totally engrossed in enjoying that piece of candy. At that time, if you ask the child what their name is, they won’t answer! They are fully into enjoying the lollypop. Being 100% engrossed in a particular sensory object brings you to a state of meditation. You turn on some music and you get totally engrossed into the music, then a moment comes when you move even beyond the music. You no longer hear music, but you know you are and yet you have no boundaries. In the language of Yoga, this is called Laya Yoga, which means dissolving in it. This leads you to meditation. Any wonderment or astonishment also leads you to a state of meditation. Whenever a “wow” arises in you, there is no mind, there are no thoughts – but you just are. The senses of touch, smell, taste, sight, and sound can all lead you into meditation, provided you do it in the right way. It needs a certain skill to experience that. Emotions can also lead you to a state of meditation – both positive and negative emotions. A state of shock can also take you into meditation. Again, it is a little risky. You know, when you feel utterly hopeless, you say, “I give up!”It means – this is it, I can’t take it anymore. During those moments, if you don’t slip into frustration, depression, or violence, you will find that there is a moment where it snaps and there is no-mindedness. So, whether it is positive emotions or negative emotions, like fear, the mind stands still, it stops. It can lead you into that spot. Intellectual stimulation, knowledge, or awareness can lead you to meditation too. This is called Jnana Yoga. If you visit a space museum, you will be in a different state of consciousness when you come out of the museum. You will experience a shift inside you because you have seen yourself in the context of the universe. Who are you? What are you? Where are you? What are you in reference to the unfathomable, infinite universe? If you have studied Quantum Physics, you start to see that everything is just atoms, or just energy. If you delve into Quantum Physics and then you study Vedanta or the Art of Meditation or Yoga, you will find striking similarities. You will find that the same language is being spoken. So, through knowledge also you can experience a state of meditation. On a free day, just lie down somewhere outdoor and keep looking at the sky. A moment will come when the mind becomes still, there are no thoughts and you don’t know where you are, but you know you are. An experience of the centre everywhere and circumference nowhere. Now, when the wants arise in you, what do you do? You can’t keep on wanting things. This is where wisdom comes to help. See life with a bigger context.